OSC also conducts Sounds-Transmission-Loss-Modelling (STLM; also referred to as Transmission Loss Modelling, TLM), which can be ground-truthed using our noise measurement and monitoring systems. This is an autonomous, all-in-one product used for quantifying ambient/background noise, broadband marine mammal detection (low, mid and high frequency cetaceans, such as baleen whales, dolphins and porpoises), and animal localisation in three dimensions. The product is deployed from the side of a fixed installation, or moored to the seabed. Data are sampled as high as 750 Ksps, on up to five channels, and can be telemetered real-time via a variety of techniques back to a shore-based user. 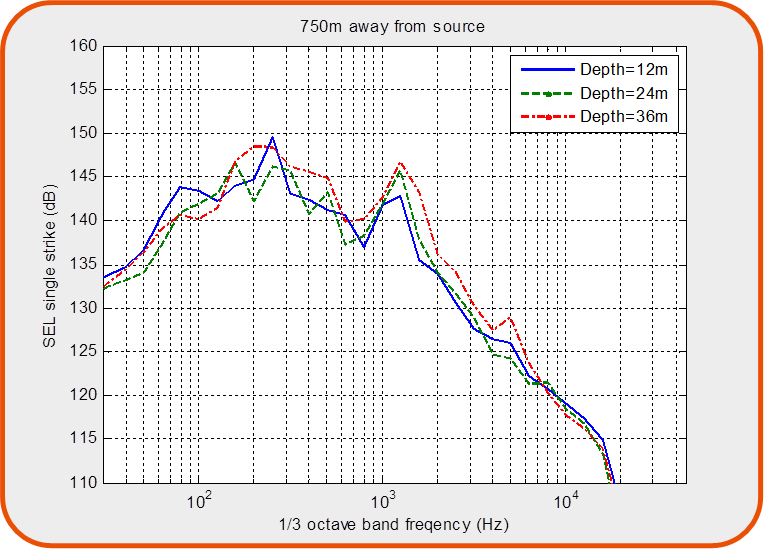 Unlike OSC’s seismic towed arrays (www.osc.co.uk/services/passive-acoustic-monitoring-pam), the system resolves the problem of left-right ambiguity (described on page 282 of the Marine Mammal Observer and Passive Acoustic Monitoring Handbook), by employing beamforming techniques. This enables acquisition of bearing estimation of targets, which renders it appropriate for studying marine mammal behaviour. The system comes with a beamforming ‘app’, enabling the user to detect animals in the presence of strong interferers (such as a turbines). The system offers great flexibility for addition of other sensors, such as cameras, or oceanographical instruments (turbidity, fluorescence, CTD etc.). This product is useful, in that takes noise measurements, and then processes and outputs typical statistics specified by the industry standard – www.npl.co.uk/upload/pdf/gpg133-underwater-noise-measurement.pdf). Again, the system is either deployed from the side of an installation or moored. Statistical output system A simply quantifies noise by doing third octave spectral analysis in situ, via a high and low sensitivity hydrophone, providing useful dynamic range. Capable of either recording to solid state hard drive, or live-streaming of data, the system calculates Sound Pressure Level (SPL) and Sound Exposure Level (SEL), outputting all statistics automatically for the user, such as peak, mean, 5%,50%,95% etc.